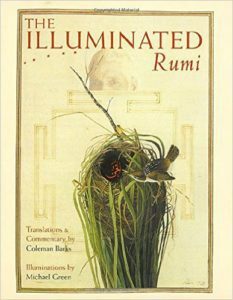 Rumi, Jalal Al-Din, translations and commentary by Coleman Barks, illustrations by Michael Green. The Illuminated Rumi. New York, NY: Broadway Books, 1997.